2. 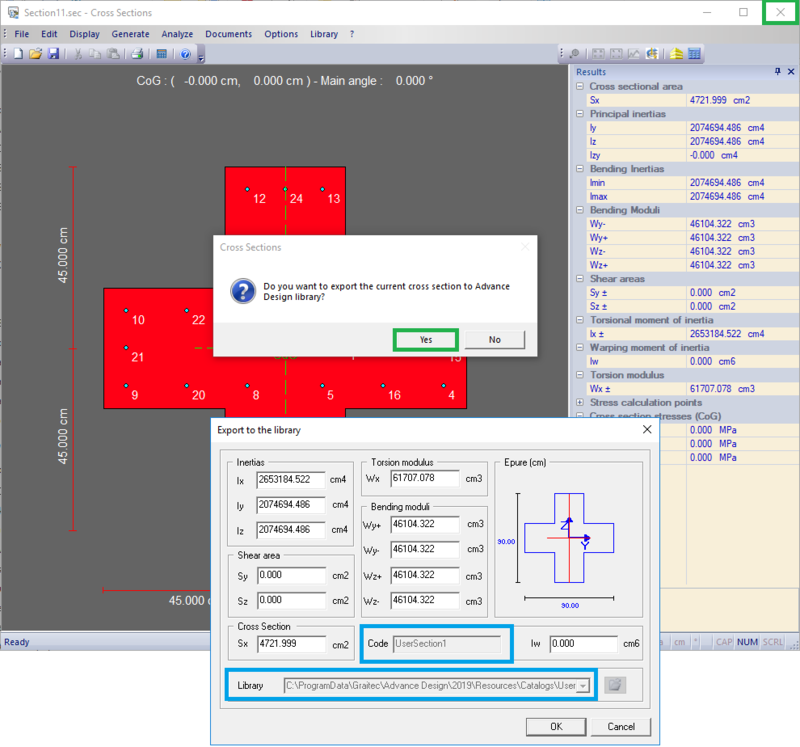 Define the cross-section geometry (shape and reinforcement position) and material in the Cross Sections module: draw the shape by point coordinates, define the reinforcement (automatic or manually) and concrete cover, define the material and calculation settings. Note: It is recommended to define the initial reinforcement from the minimum reinforcement area. 5. 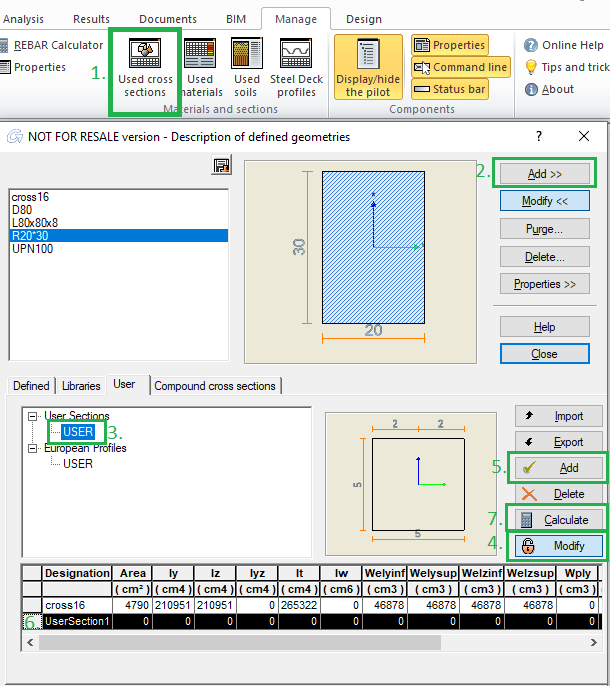 The user defined section is attributed to the desired linear elements (columns). 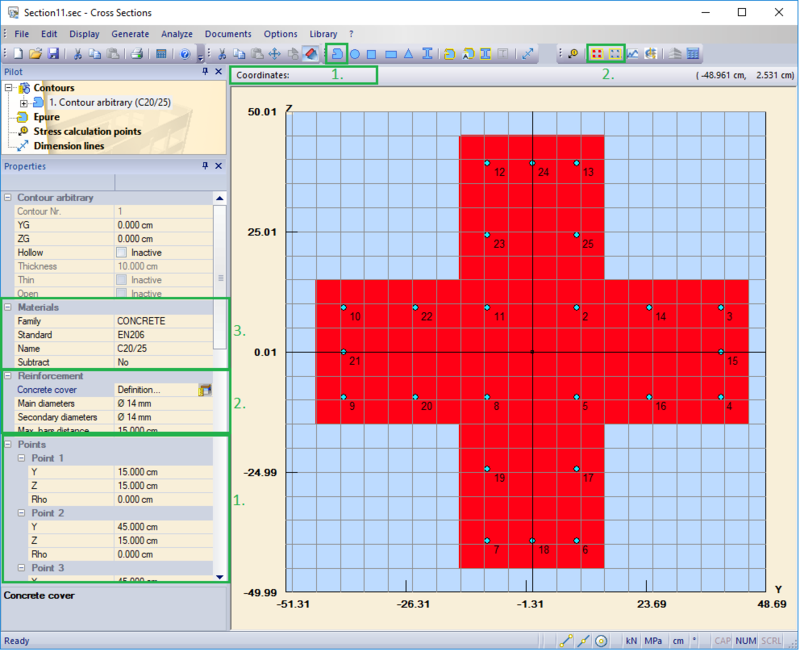 Run FEM and RC Design analysis. 6. 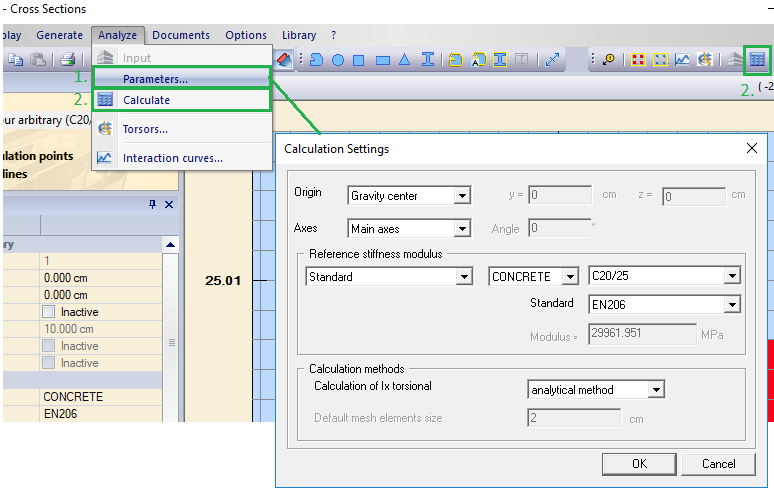 On the selected element, check the RC design - element reinforcement results. The real reinforcement (imposed) can be compared to the theoretical reinforcement (computed). 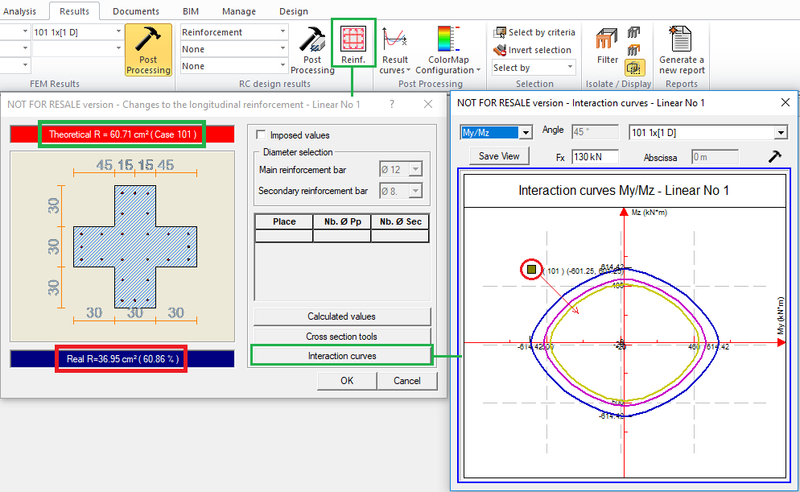 The verification can be observed on the interaction curves also. The section solicitation point should fall inside and close to the capacity curve (My/Mz, Fx/My, Fx/Mz), for a safe and economic design. If the imposed reinforcement does not satisfy these conditions, the initial reinforcement is increased: restart from Step 2.